Barking at the children to not touch, wander off, fidget and listen attentively all while in the public eye. Inquiry learning is something teachers plan for in the safety of the school environment. However, once we take children on field trips, it’s easy to slip back into didactic forms of teaching. And then we wonder why children literally wander off task! The world outside of our classroom provides a rich context for learning. Yet all too often field trips become a mad dash between different places with harried teachers and disengaged children. Learning outside the classroom should reflect the pedagogy we live inside our school communities. As a Primary Years Programme teacher, I wondered – what might an inquiry approach to field trip look like? Kath Murdoch reminds us that inquiry should be a habit. What habits have been formed in planning field trips from an inquiry stance? Tuning in through read alouds, images, and videos. Just as we use our prior knowledge to help construct meaning when we read, so too when we view. Over the first few weeks of class, I’ve been reading Grace Lin’s incredible ‘Where the Mountain Meets Moon.’ The novel draws on Chinese folklore with stunning illustrations sprinkled through the pages. 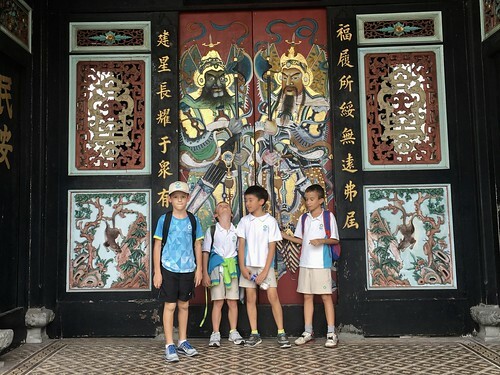 As the children visited temples and museums during our unit of inquiry, the made connections back to the illustrations and stories from the book. The text informs the field trip experience, but the field trip experience also informs the children’s understanding of the text. Don’t neglect tuning into approaches to learning. 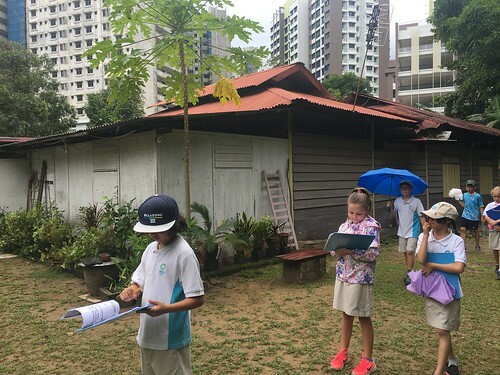 The incredible Paul Salopek’s Out of Eden Walk gave students a chance to pre-flect on the attitudes and actions they would need as they explored the streets of Singapore and Malacca looking for evidence of human migration. Role models are powerful exemplars to unpack the ‘learning to learn’ behaviours before we venture outside of the classroom. Contexts for learning are richer when children are prepared to learn from them. In a world of fast, field trips should embrace the slow. If children are really going to engage the world outside their classroom, they need time to know how to look and think. The Artful Thinking palette by Project Zero Classroom gives some great structures for children to organize their thinking. Instead of making thinking a one-off field trip ‘activity’ embed it into everyday classroom language. We prepared a trip booklet each and the children were issued with an iPad to share with a buddy during the journey. Rather than a fill in the blanks, a trip booklet is more like a ‘choose your own adventure’ scaffold for thinking. The trip book guides the children to uncover evidence and think more carefully about the central idea and lines of inquiry. Providing multiple pathways and modes for evidence gathering honours learners interests and develops agency. It also provides opportunities for genuine collaboration. Another idea we let go of is that all classes need to do the same field trip. 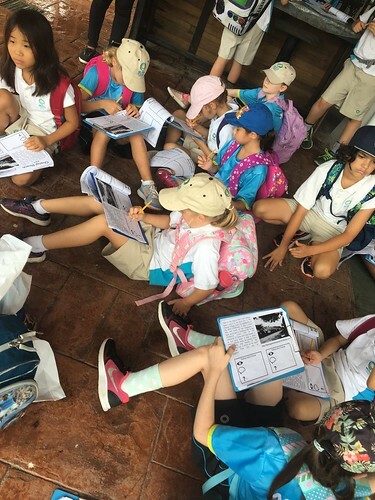 Earlier in the unit, the teachers prepared a trip based on their interests and passions – food, architecture, religion and social change – to explain migration in Singapore that the students opted into based on their interests. This decision also minimized our impact on the local environment in sensitive areas like Kampong Buangkok – Singapore’s last traditional community – where we needed to keep numbers small. The energy back in school was platable as the class re-formed and the children eagerly shared their adventures with their classmates. It was the same energy that the children bring in after a long vacation where we catch up on our adventures. Providing multiple pathways and modes for evidence gathering honours learners interests and develops independence. It also provides opportunities for genuine collaboration. Action – Empower the kids to inquire! It’s easy to talk about inquiry but for it to be genuine, you’ve got to ‘walk the talk.’ In a museum, this might take the form of a quick pep talk about boundaries for exploration and being mindful of interactions with others before letting the 8-year-olds loose. 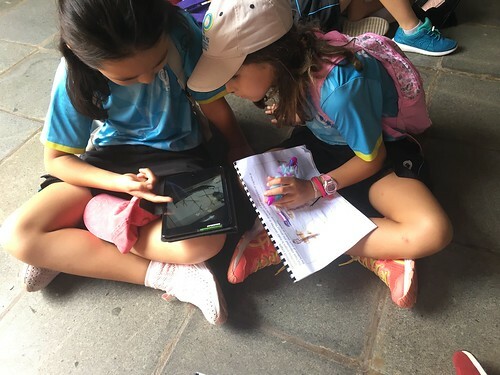 Yet when we looked out the students were engaged in learning – using both paper and digital technologies, working separately but also collaborating. Some children will visit fewer exhibits, but they engage in meaning-making on a deeper level. Others may prefer to see more places and make connections across exhibits. Instead of concerning ourselves that the children ‘get around’ all the exhibits, give children tools to make meaning through multiple pathways. If we are teaching our children to be curious, we must honour their curiosity. Tour guides are usually in front talking, what will they do in an inquiry? Talk with the students! During our time in the museum, gradually the students came up to ask about the history of Malacca. One student came to share about his great-grandfather serving in Malaya and this started a conversation about life during the Japanese occupation. In a large group situation, that conversation would have been quickly redirected to the wider needs of the group. Having the tour guide on the side enables the children to have deeper and more fulfilling conversations. Field trips don’t end once you get back to school. Documentation of learning provides rich opportunities for reflection and ongoing conversation. The photographs and videos that the children gathered can be artifacts for writing, reflection or further action when we return to school. Photographs and videos provide rich evidence of attitudes – sometimes it’s not what the students say but how they say it that informs future teaching and learning. During our exploration, I regularly posted videos and pictures to the class Instagram account. The parents were viewing and commenting on our adventures while we were outside of school and then viewing our account at home with the children after the trip. The immediacy of sharing photos and video on social media provides a rich real-time link between home and school. When planning field trips it can be easy for teachers to fall into trap worrying about transportation, staff ratios and safety plans with pedagogy being an after-thought. If our classes are spending both time and expense venturing out of school, we need to maximize a field trip’s potential for learning. Don’t let pedagogy get lost in logistics. I also think it’s important that we allow the students voice to direct our field trip choices. If we go somewhere they have high interest in I feel field trips are more successful. Agreed – for us that came through offering choice but in the future nothing to stop children being involved in field trip planning.